NETGEAR's ProSafe line of business networking products offers a wide array of easy-to-use, professional-grade switching, wireless, software and security solutions. Backed by a lifetime hardware warranty for the original purchaser , ProSafe products provide an abundance of intelligent, innovative and practical features, addressing the unique requirements of business networks. 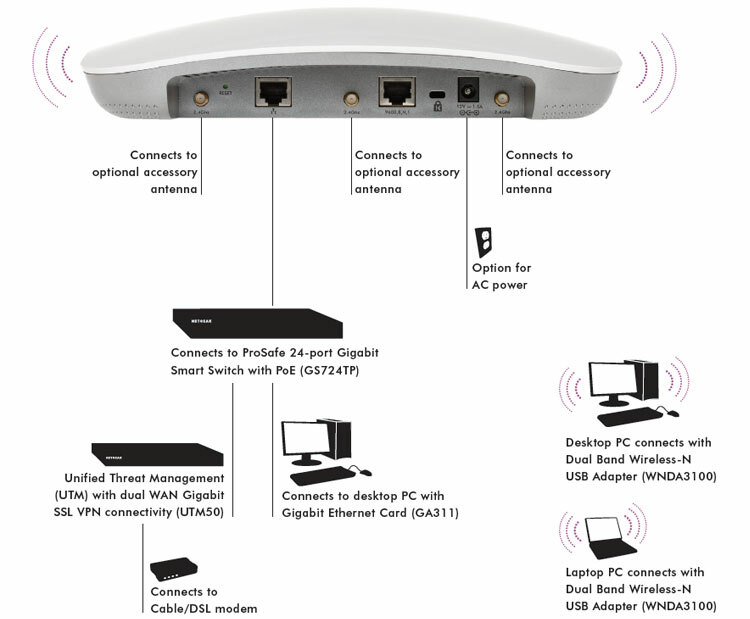 Download the NETGEAR WNDAP620 Data Sheet (PDF).